This was the second marathon in the Rock N Roll “Rock Star” series. 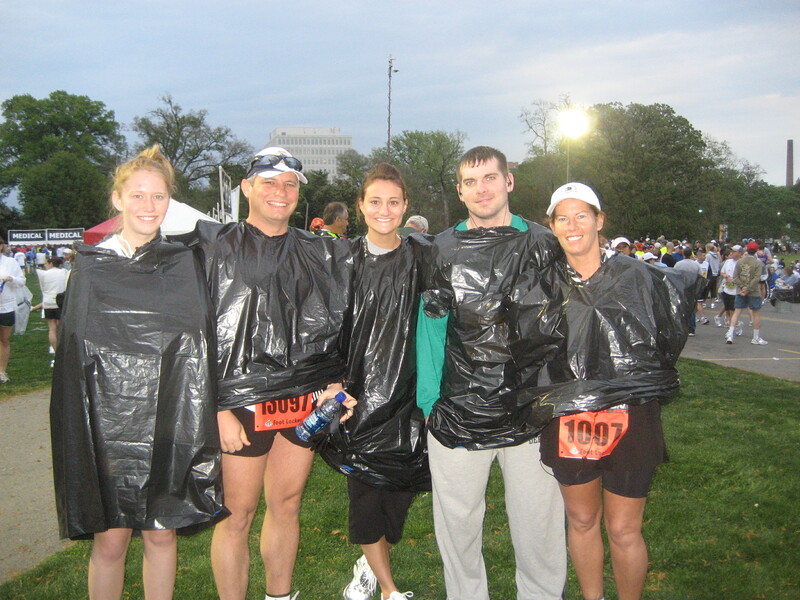 Although this is not our first U.S. Marathon we chose this marathon to represent our U.S. Marathon in the 7 Continents Club. Nashville has been a special place in our hearts and lives together. This was also a great race as this is one of the first marathon’s that we ran with Mitch, Samantha and Emily(they ran the half marathon) as a family together. I believe this was the first run that got Samantha hooked on running as well! 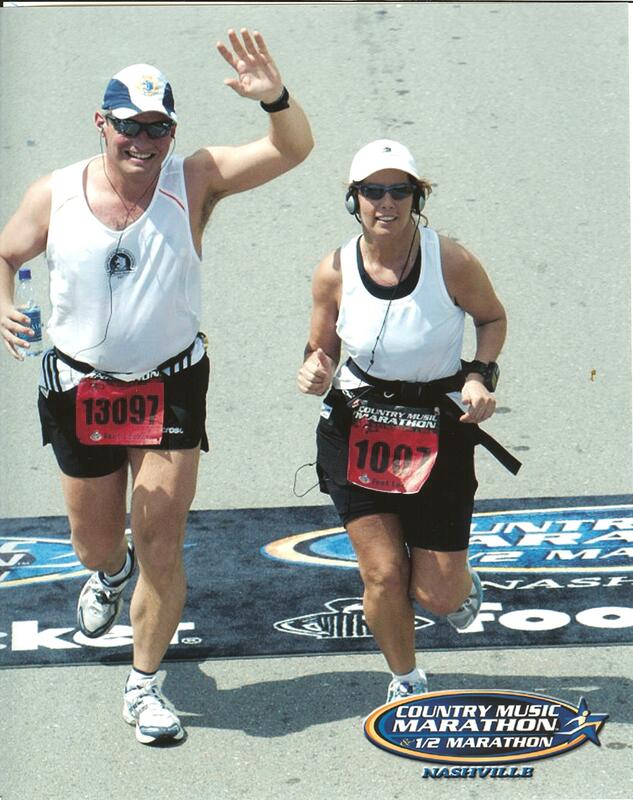 The Nashville Country Music Marathon is not an easy marathon. It consists of many uphill’s, in fact, many times I wonder how a course can have so many uphill and so few downhill’s! We arrived at the stadium at about 4:30 to insure that we would not be caught in the traffic on the interstate. We took a brief nap before heading to the shuttles for our transportation to the starting line. I will say that I like the way that they set this up as there is plenty of parking for the race. The day started out a little cool but then warmed up quickly (almost too warm). At the beginning their were rolling hills till about mile 11 and then the course seemed to flatten out for a bit. We pretty much ran the first 13 miles and then once past that started walk/running. This is typically what we do (I think it is a mind game to be honest), but the beautiful thing is that we are both in line with each other’s thinking at the time and support each other when things get rough..and today the heat got rough. During the second 13 miles I got a craving for a Coke. I have this all the time during races as I get tired of Gatorade and water ( I need to figure out a way to bring a coke with me!) . But on this day, I saw a McDonalds! Which change in my pocket, I quickly ran in through a couple bucks on the counter, grabbed by coke and ran back out to meet up with David! I think he was shocked that I actually took the time to go get a coke, but it didn’t take anymore time than taking a bathroom break!! And now I had my caffeine and I was ready to run again!! The bands along the course! Thanks for uplifting us! The spectators- Thanks for your support! U.S. 7 Continent Marathon Completed! 2nd Marathon of the Rock-n- Roll “Rock Star” series completed! This entry was posted in 7 Continent Marathons and tagged 7 continents Club, Nashville Country Music Marathon, Rock and Roll Marathon by TwogetherRunners. Bookmark the permalink.